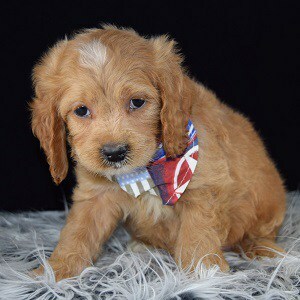 Temperament: Our Cockalier puppies for sale in PA are very sweet tempered dogs, who are very loyal to their owner and always seem to be happy. 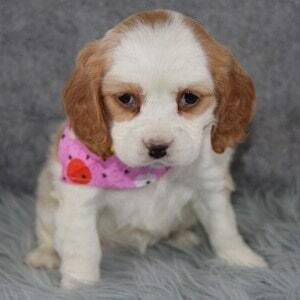 They are charming and friendly, and are very good with children and also other pets. Cockaliers enjoy a nice amount of activity and are able to keep up with an outdoor type family, but are a good house dog for a more quiet type of family also. 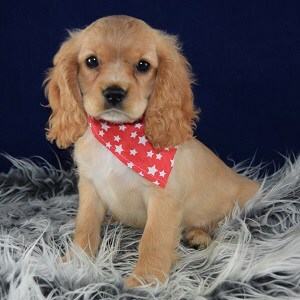 They are intelligent and so quick to please, making them easy to train. 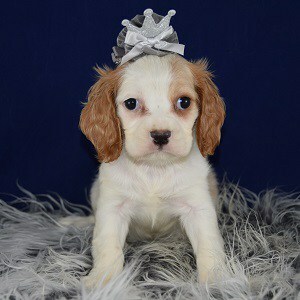 Ridgewood Kennels has been placing Cockalier puppies for sale in PA, NY, NJ, DE, MD, RI, and farther for more than 40 years! 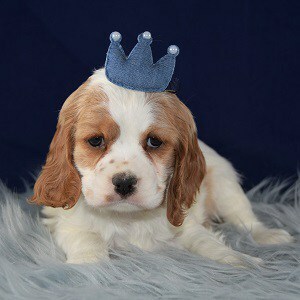 All of Ridgewood’s Cockalier puppies for sale go home with a written LIFETIME warranty as well as their puppy shots completed. 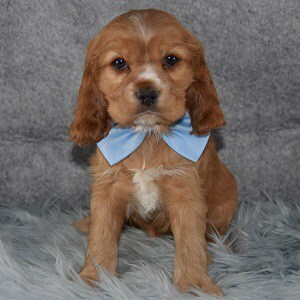 See Ridgewood Kennels Cockalier puppies for sale below! Activity: Cockalier puppies benefit from a nice amount of outdoor playtime or a daily walk. However, they are acceptable for an indoor dog with access to taking walks. Grooming: If kept long, daily brushing is needed. It is also very important to keep ears clean and free of hair. If kept short, regular cuts every 8-10 weeks are recommended. Shedding: Our Cockalier puppies for sale are an average shedder but regular brushing will help with this. 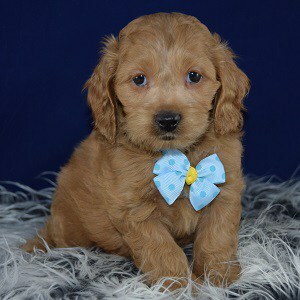 We’ve enjoyed breeding Cockalier puppies for many years now and know the mix very well. 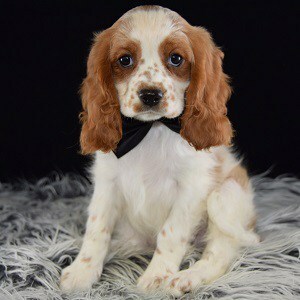 When we mix Cocker and Cavalier, it is a first generation mix which give the puppy good health benefits and also good behavior traits. 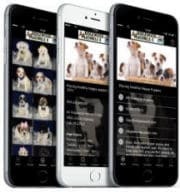 Give us a call anytime so we can help you determine if a Cocklier is the perfect puppy for you!